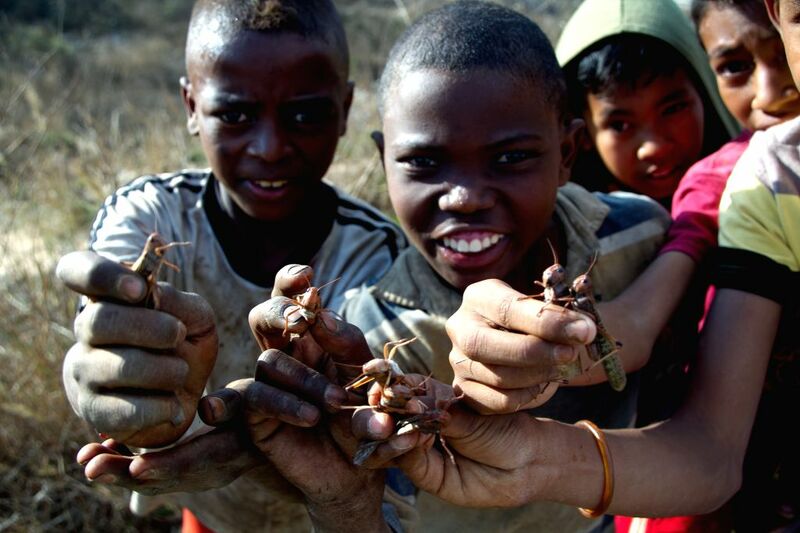 ANTANANARIVO, Aug. 29, 2014 - Childern show locust in Madagascars, capital of Antananarivo, Aug. 28, 2014. 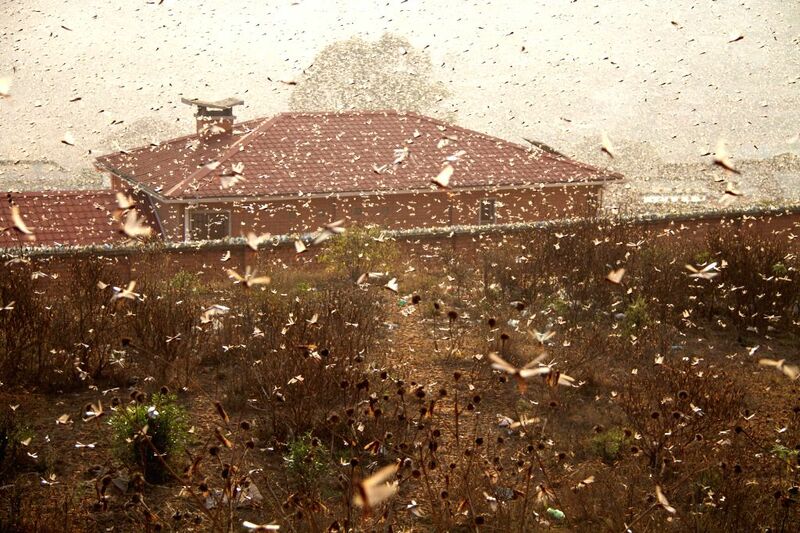 A locust invasion took place in Antananarivo on Thursday. Locust passes through Antananarivo, capital of Madagascar, Aug. 28, 2014.